Lock in a great price for Asanja Africa – rated 9.2 by recent guests! It was an amazing experience. 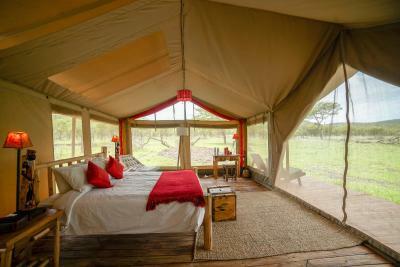 We were in a beautiful tent out in the wild with all the comforts of home- even a hot shower! The helpful staffs. They suggested us the best logistics and also helped us when we found difficulty. 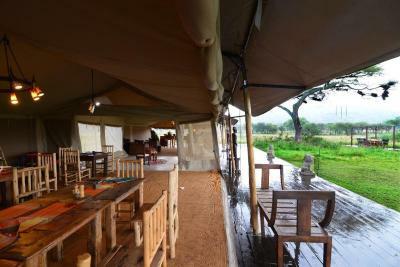 The tent was large and comfortable, and the breakfast and the dinner was of great quality. We were greeted by our driver at the airstrip, at Seranero. ( centre of Serengeti). He was our driver for our entire stay at Asnaja. All staff at the camp were extremely helpful and friendly. They made us feel very welcome. The rooms were comfortable and spacious. The food was delicious and we never went hungry!! Thanks again guys for an awesome time!! We will be back. The accommodation, set up, food, and specially the team, all excellent. we were 5 people in the family tend: everything is perfect the Lodge is comfortable and fabulous. everything is organised exactly. the meal was very delicious thanks to the chef.. staff is very kind and accommodate. we enjoyed our stay so much. it is unforgettable! Uno de sus empleados Baraqui junto con un compañero nos buscó y remolcó con su PIck Up a las 21:00 en pleno Serengeti y a continuación nos prepararon una cena riquísima. El dia siguiente Baraqui llevó nuestro Jeep de la agencia ( nuestro chofer no fúe capaz) y nos llevó hasta Seronera, una persona y servicio excelente!! !Ojalá hubiéramos hecho el Safari Tour con ellos y sus conductores experimentados !!! Gracias a todo el equipo maravilloso del ASANJA !!! 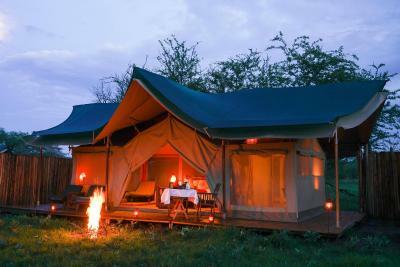 Le charme et le confort de ces tentes de luxe sont tout simplement exceptionnelles.... 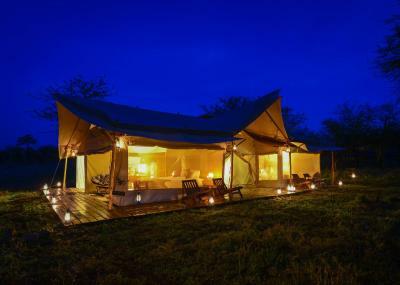 Le camp est composé d'une petite dizaine de tentes bien espacées et plein milieu du Serengeti. Les dîners autour du feu de camp étaient très agréables avec tout une équipe aux petits soins. Asanja Africa This rating is a reflection of how the property compares to the industry standard when it comes to price, facilities and services available. It's based on a self-evaluation by the property. Use this rating to help choose your stay! 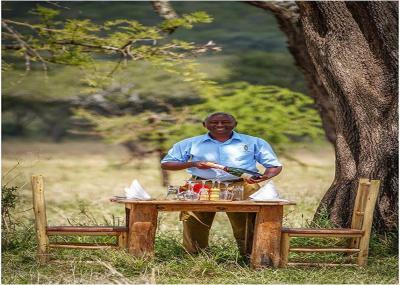 Overlooking the scenic plains of the Serengeti, Asanja Africa offers tented accommodations and features a restaurant and parking on site. 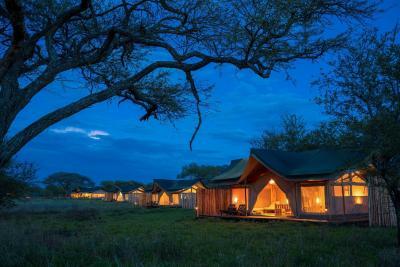 The camp is exclusive and set amid the Moru Kopjes. 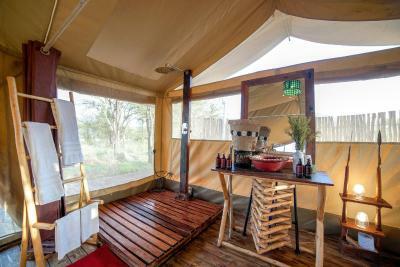 Overlooking the garden, all tents feature a private veranda with scenic views of the Serengeti and has a mosquito net and seating area. 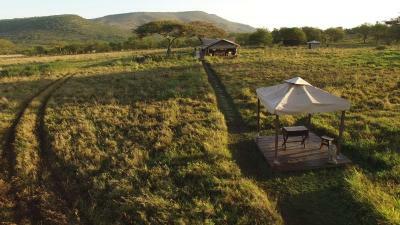 Each tent has an private bathroom with flush toilets and hot showers. 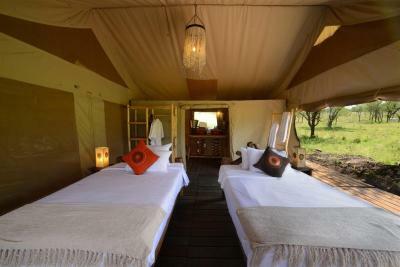 Each tent represents a special Maasai Ceremony and thus has unique and personalized style. 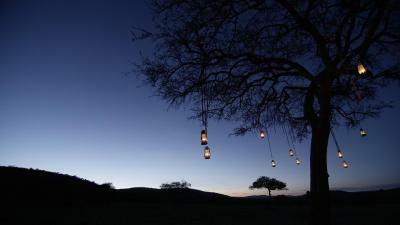 Staff can organize balloon safaris, bird watching and visits to the Maasai village. Ngorongoro Crater is 50 mi away. The Arusha Airport is 186 mi from Asanja Africa. 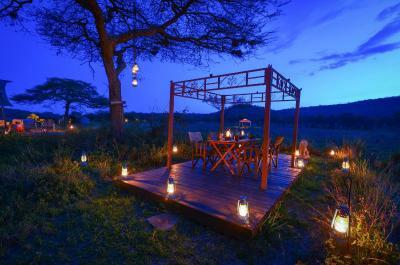 This property is also rated for the best value in Serengeti National Park! Guests are getting more for their money when compared to other properties in this city. When would you like to stay at Asanja Africa? 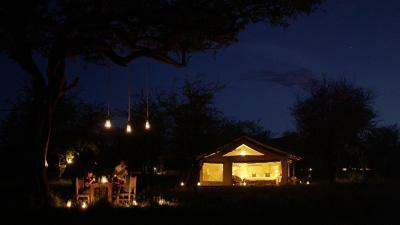 Overlooking the garden, the tent features a mosquito net and seating area. It has an private bathroom with flush toilets and hot showers. House Rules Asanja Africa takes special requests – add in the next step! Any additional older children or adults are charged USD 240 per night for extra beds. Asanja Africa accepts these cards and reserves the right to temporarily hold an amount prior to arrival. Please note that compulsory camping & park fees are applicable and excluded from the rates. The park fees need to paid directly at the park entrance gates , Asanja Africa can not pay on behalf on guests. Due to the location, the wifi access was limited, and the lunch box was not good. But considering the location, it is something we should compromise. 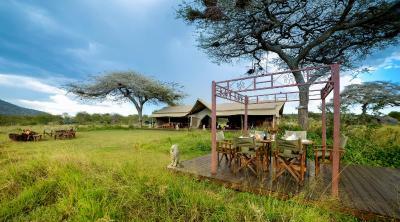 It’s not for the squeamish, nowhere in Serengeti is. 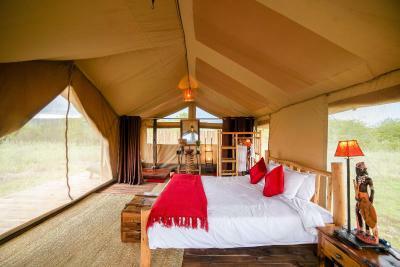 You have to make your pease with loud birds, the sounds of lions and elephants in the distance, and an occasional mouse in the tent.